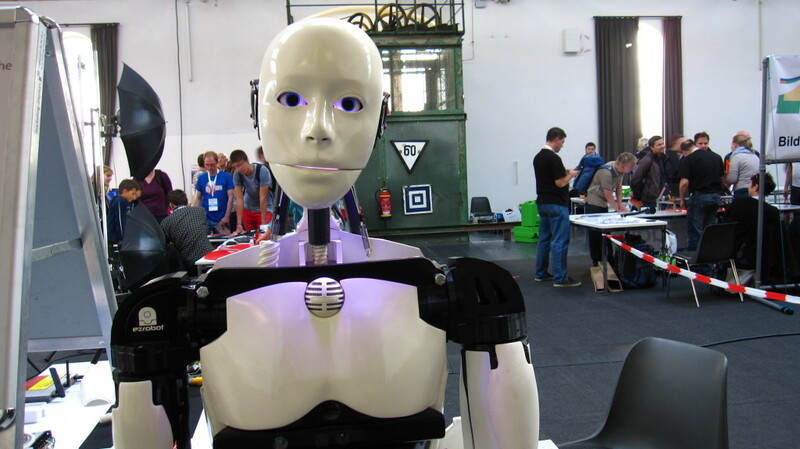 Are you going to Maker Faire / Circuits, lathes, lawnmowers and twine | Guten Morgen Berlin! October 7, 2015 - Guten Morgen Berlin! Oh god he’s looking at me. Guys, he’s looking at me. Guys? Hey, has anyone seen Dr Lanning recently?? The craft community has a great many factions. Of course, you always start off with the hordes of grandmas knitting and stitching lovely things for people who can’t wait to wear them ironically outside a pulled-pork food truck somewhere. Then there are the cutesy crafters who insist on making things covered with emblems of cupcakes and owls, and pretend to ‘upcycle’ by using brand-new mason jars for non-jar-related purposes, and fashion cozies for everything and anything which actually manages to stay at a completely acceptable temperature by itself. There are the grunge-crafters, who like old pallets (a coffee table!) and worn-out jeans (a hammock for onions!) and enjoy making wallets and even wedding dresses out of duct tape. There are crafters who become craftsmen, making glorious leatherwares or carpentry which sell for thousands of pounds. There are the nerdcore crafters, whose hearts are lifted by the sight of the triforce and who still have their embroidered ‘The cake is a lie’ and Doge cushion covers proudly adorning their sofas. There are thousands of us, in our different schools of craftery – a spectrum of makers, gluing and burnishing and felting all across the globe. And yet there seems only to be one kind of publication on the newsstands for crafters. They are called mind-shrivellingly uninspiring titles like ‘Country Craftz’ or ‘You can craft it!’, with some blonde smiling bint on the cover, showing off a cheeky nautical-themed bathroom door decoration, or an Easter card with a garish felted chick. They feature projects where you ruin perfectly good wine glasses by pointlessly gluing rhinestones onto them, or you ‘make’ a set of wedding invitations by sticking pre-bought decorations onto pre-made card bases from SimplyStylin(R) card supplies (full catalogue overleaf!). They use gnarly cursive fonts or pathetic faux handwritten text which looks like Comic Sans’ leprotic cousin. And they are saturated with oestrogen, bloated with ads and sponsored articles, monuments to trashy writing. Such uninspiring fodder for legions of the inspired. Thankfully, the internet exists, and it is now full of joyfully mental craft blogs for every different kind of crafter. But the big mummy and daddy of them all are Make:zine and Craft:zine, two online and (I believe subsequently) print publications which have quality, well-curate content. I started out reading Craft:zine’s online blog every single day when I was younger, but gradually started to lose interest as the posts became less about awesome DIY crafting tips and more about new iterations of utterly needless cozies. At that point I found myself drifting towards Make:zine, which is more focused towards DIY tech, amateur circuitry and other such fascinating homespun hacks (my favourite, which I will always remember, was a guy who had built an automatic catfood bowl built to only open for certain cats, founded on the mechanism of an old computer CD tray). Not long after that they completely buggered up their web design such that browsing the site these days is like trying to read a book where the back 200 pages are stuck together and the front 50 pages have been torn out and thrown around by an angry gibbon. 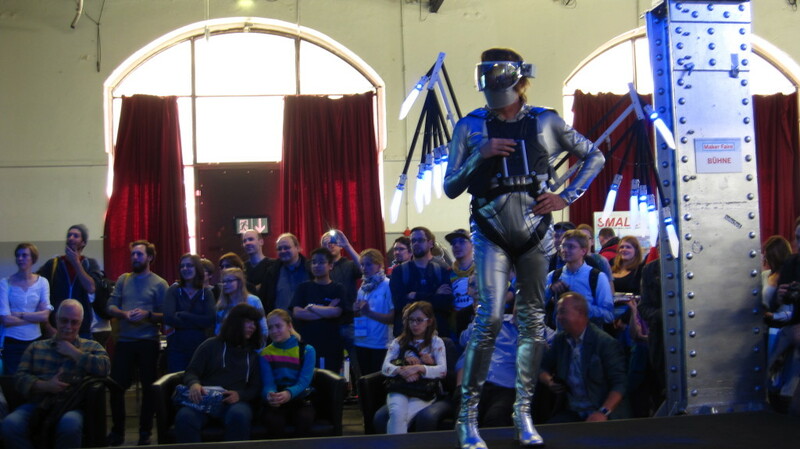 But that never stopped me longing to go to their Maker Faire convention, where makers and techers of the world get together to show off their shizz. And then, this weekend, for the first time, it came to Berlin. The title picture is an incredible homemade robot that some geniuses had cobbled together out of a few servos, some webcams, a couple of speakers (in place of the ears, rather disorientingly) and an unbelievably complex articulated robotic set of hands. His eyes literally followed me round the room and I was simultaneously enchanted and harrowed. He could chat to you in a mellow computer-generated voice and generally scare the bejeezus out of anyone in a 3-metre radius with high efficiency. The whole convention was teeming with fabulous ideas: from the Kenyan man who had invented a circuited motorcycle vest with indicators and brake lights across the shoulderblades, to the balding chemistry dudes who were inventing ways to make quality plastics out of bacteria. 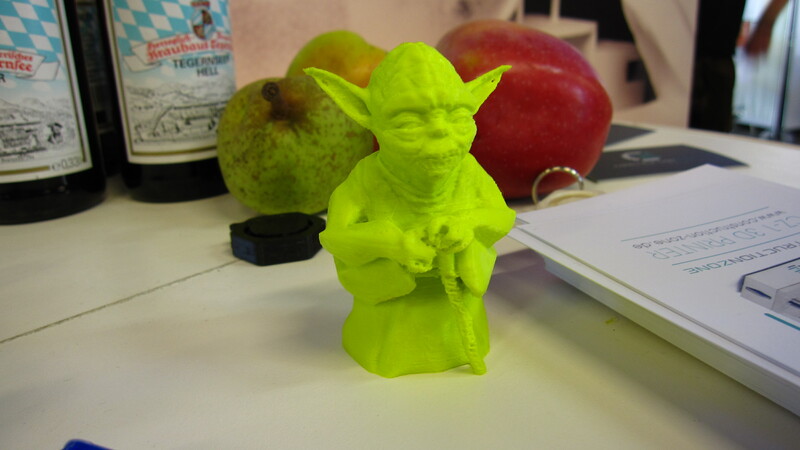 This is a 3D-printed Yoda. Look at ‘is face!! 3D printers are becoming the twerk of the crafting world. They are everywhere, everyone is doing it and no-one is really sure yet what it’s all about. Well, these guys had figured it out. 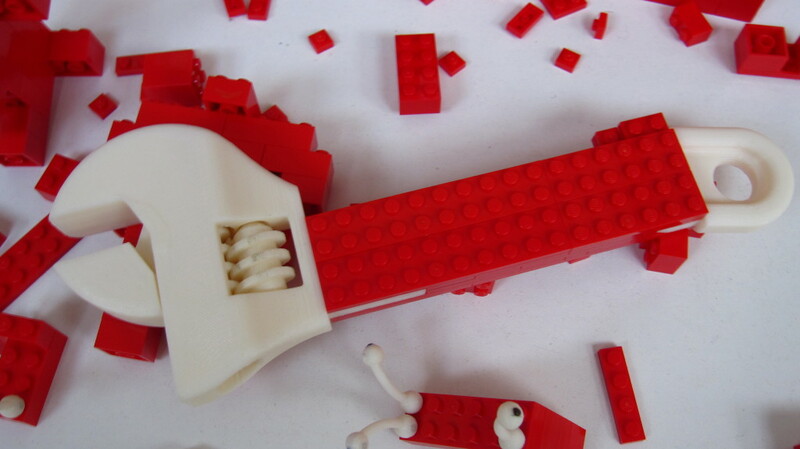 They had founded Brickify, a simply awesome idea where you can construct LEGO-compatible accessories which the app then sends to a 3D printer so you can use LEGO bricks and your homemade addons to make all kinds of useful modular tools. I think these kids were even younger than me. Sob. 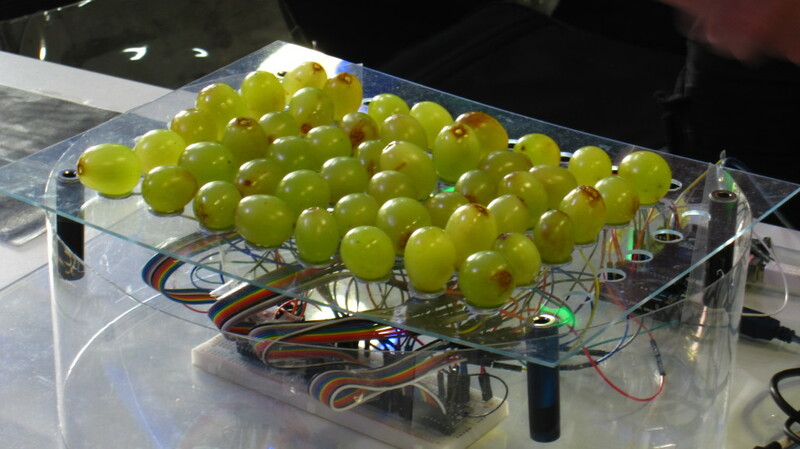 This man had made a musical grape keyboard. With grapes. You press the grapes to play notes. I don’t really have much to say about this one. Here is a cosplayer who had built an electrified silver vinyl jumpsuit with glowing blue knife wings. Again, I think it’s best if I leave the image to speak for itself. 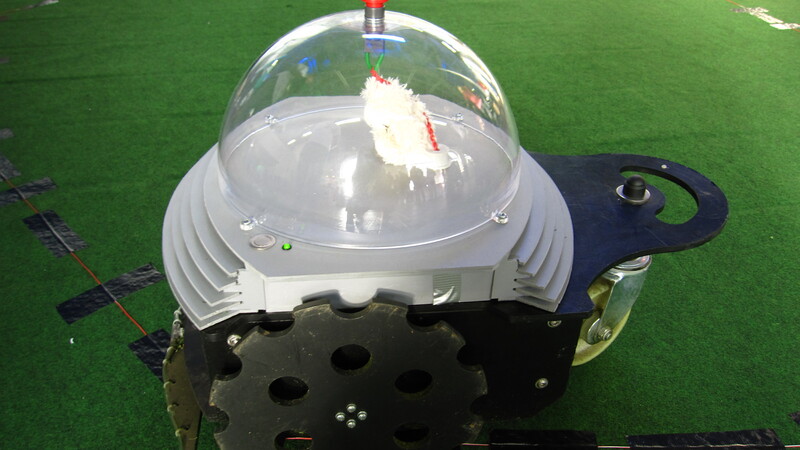 Here is a robotic lawnmower. You can’t see what’s in the clear plastic dome because the lighting in the hall was bright-dark and weird, but there was a little cuddly sheep in there. 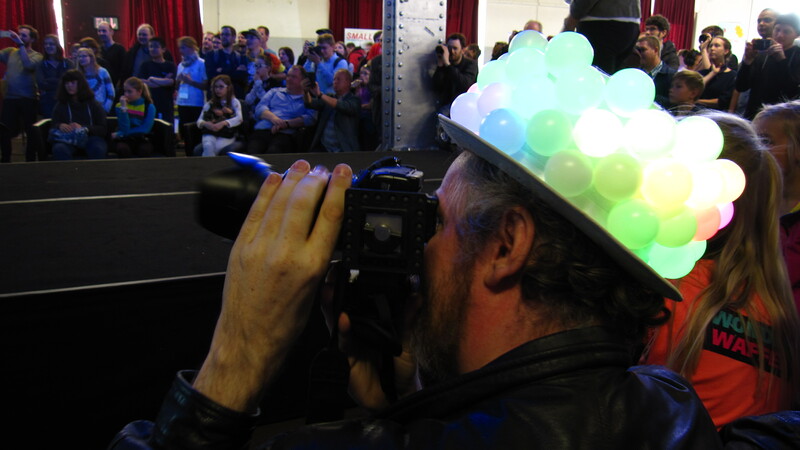 And here is a man who had made a rainbow dance-trance tophat with illuminated colour-changing pingpong balls. It was a triumph, but he seemed to be in a really bad mood, probably because he’d been hoping all weekend that someone would talk to him about his rad hat. In sum: the craft world as a whole is a weird mix of people doing unspeakably nuts things. Some of those things are life-affirmingly awesome. Some of those things are just nuts and nothing more. But the next time they come to Berlin, you gotta take a look at this guy’s grape piano.